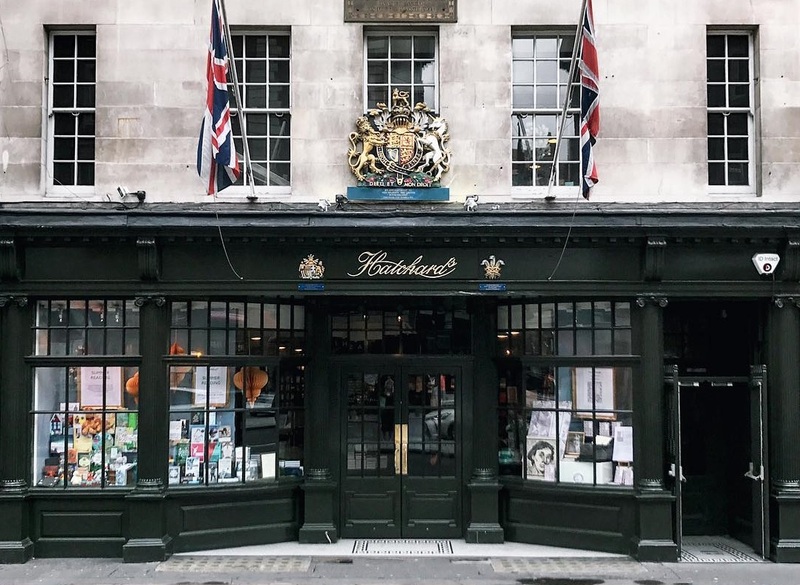 Hatchards is an independent specialist bookshop in Piccadilly founded by John Hatchard in 1797, located next to Fortnum and Mason, and opposite the Royal Academy. It has now quietly become part of the Waterstone’s group, but this doesn’t seem to have affected its unique grandiloquent feel. It is London’s oldest bookshop, the occupants having been in the building for over two centuries, and is still located on an impressive five floors. Hatchards is a proud bookseller to the Royal households, holding three Royal Warrants. The Queen gets her fiction here. You wouldn’t know of its connections to Waterstones as it is still run as if it was an independent. The manager Gavin was very welcoming and keen to talk to new publishers about their new publications. It looked as though they still did their own private ordering and they have some requested out of print books that they now have organised print runs of themselves, as other established independent bookshops are increasingly choosing to do. There are regular signings at the store and the latest books on show often have a few remaining copies signed by the author at the top of the pile. They boast an excellent Christmas customer evening event offering a subscription and wedding service. They opened a second store in St. Pancras International in 2014, which has an even later closing time of 9pm for late literary launches. The Waterstones store in Piccadilly is just a few blocks along, making it a great place for bibliophiles to visit. They retain an independent aura despite being a part of the Waterstones Empire, and it’s for that reason that we include them here. 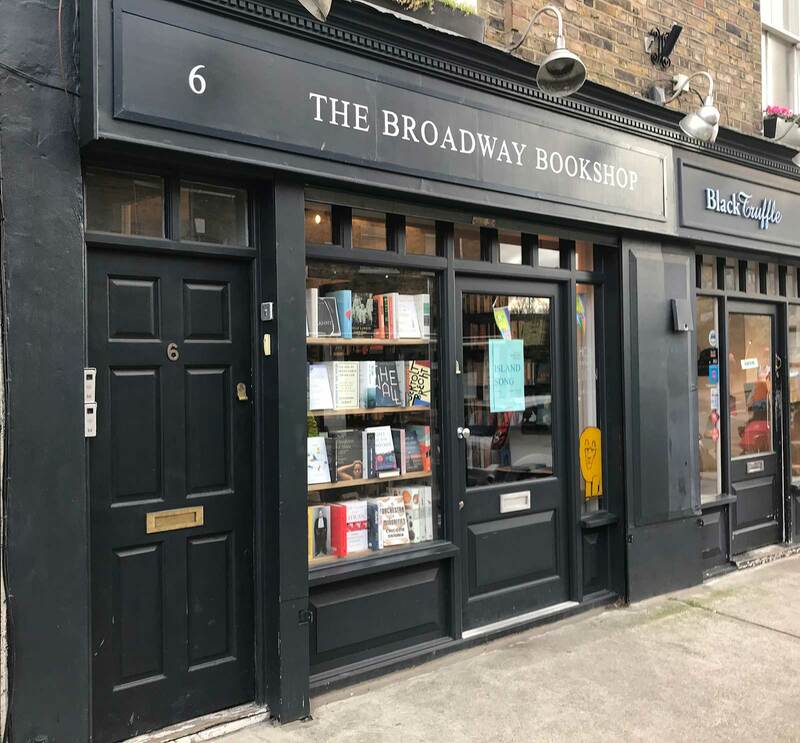 Broadway Bookshop is a fabulous little bookshop in Broadway Market, London Fields, between Haggerston and Shoreditch, specialising in literary fiction alongside a variety of non-fiction – mainly art, philosophy and politics – and it also has an impressive children’s selection. We spoke to Tom and Ilona who were both keen to establish connections with independent publishers and welcomed us with open arms, genuinely keen to receive a catalogue of our titles. They were making inroads into connecting with the local community with local events and a welcoming atmosphere. They were clearly both avid readers and more than ready to offer suggestions for subject areas that the casual reader might be interested in, offering many idiosyncratic titles and subjects. Nothing seemed too much trouble, and the visit proved a lot more rewarding than a simple wander round a website. The shop was a cornucopia of modern fiction and offbeat new material, with the staff going out of their way to find titles the locals are looking for. The window display and layout of the shop is a reason in itself to visit – it is a serious challenge not to be drawn in for a long look around, so allow time for your stop over. Visitors were often people returning to collect books they had ordered and were returning to collect. We were only at the shop for twenty minutes but there must have been fifteen visitors in that time, all buying something. A tiny bookshop but with a well used space, it’s next to Regents Canal with the Market Café alongside and a couple of comfy looking local pubs in a pedestrianised zone, so all round definitely worth a trip out to.